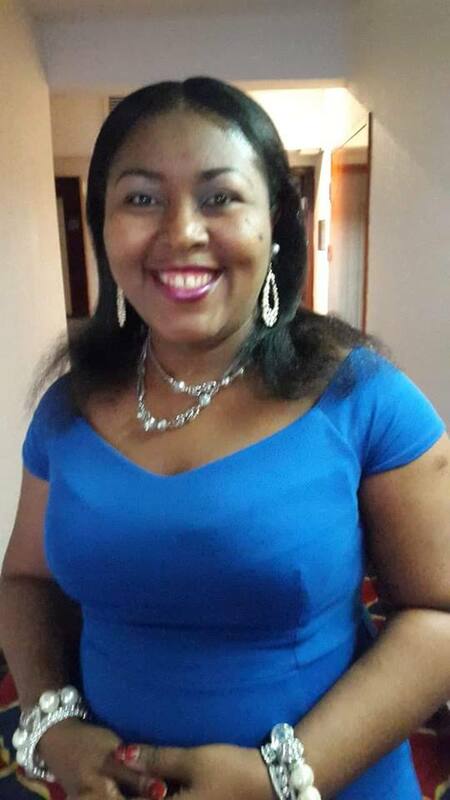 Today we are featuring Stella Eromonsere-Ajanaku, who is sharing a snippet from her novella Wild Whispers. 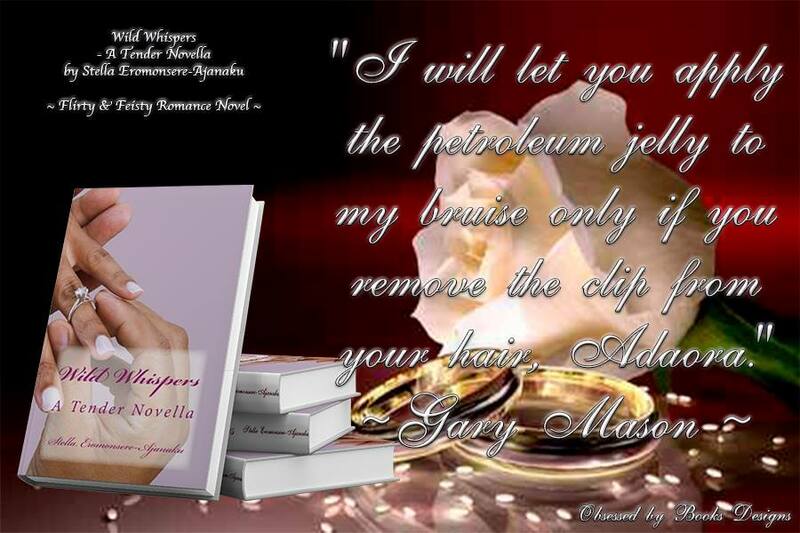 Through many Wild Whispers, will Adaora and Gary change each other or will fate intervene to keep them apart? Only the sudden dripping sound of water interrupted the stillness. Adaora got on her feet at the familiar sound. When she saw the leaking roof in the kitchen, she flailed both hands in the air. Her guest, Gary Mason stared up at the soggy ceiling board. “The watermark remains throughout the rainy season. I intend to replace the boards in the dry season.” She threw the kitchen cupboards open and took out a small, plastic bucket. The white bucket would contain any drips till morning. Gary took the container from her hand. To experience and enjoy an intense emotional ride, pick up a copy of any of her novels: Loitering Shadows, Beyond the Lady, The Gardener's Ice Maiden, Sparkling Dawn, Husband to Rent, Stolen Valentine Kiss (Holiday Series #1), Kiss My Lips (Holiday Series #2), Forbidden Dance, Stolen Valentine Kiss & Kiss My Lips (Holiday Series 2~ Books ~ in ~ 1), Tempting Desire, Seduced Hearts, Red Velvet Rose and Wild Whispers. Stella's first historical/suspense/mystery romance, Royal Cowries (Cowries Series #1) will give you an insight into a different Africa. A luxury home by the seaside is on Stella's wish list. In her spare time, she loves to swim on her back like a starfish, watch TV, go to the movies with her family and read romance novels. (The Blog Tour schedule is below - scroll down). 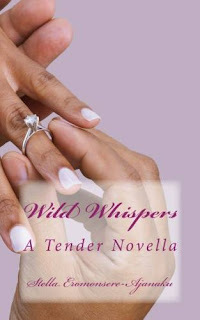 Follow Wild Whispers on its exciting Blog Tour and leave comments on every blog. One lucky winner will be drawn from a hat. To win your choice of Flirty & Feisty Romance eBook (excl Wild Whispers): Leave a comment on any blog and one commenter on every blog wins an eBook. 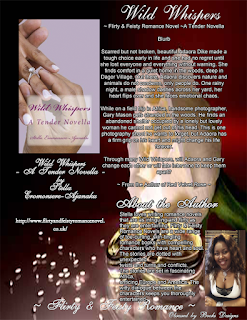 Thank you, Te'Russ for hosting Wild Whispers. I'm so pleased. Have a great weekend.